It was disappointing that we couldn’t confirm our place in the last 16 when we played Barcelona but we did well enough in that game, even if our approach lacked an attacking ede. With Leo Messi out of the starting XI, Barcelona looked to be there for the taking and a little more pressure from us might have paid dividends. On the positive side, it represented a change in tactics and formation, a shift from 4-2-3-1 to 3-4-2-1 and now a sort of hybrid of 4-4-1-1 and 4-3-2-1/4-3-3. Even though Allegri is quick to point out that the players matter more than the formation, In the short term, the results have been impressive: 3 clean sheets, 2 of which came against the likes of Barcelona and Napoli and a confident 3-0 victory over Crotone. We might have sacrificed a little of our bite by losing a man in attack, but we’ve bolstered the defence by giving it some more stability and protection. Along the way, Medhi Benatia has rediscovered the kind of form that he displayed in those early days at Roma and Udinese and has been our best centre-back over the last month; lets hope it continues. The victory over Napoli was a great morale booster and the team were rightly ecstatic with the 1-0 win and the performance. The San Paolo is a tough place to visit at the best of times and the added animosity between the two teams, coupled with the return of Gonzalo Higuain, gave the match that extra bit of spice, making the 3 points all the more important. The only negatives came before the match when it was confirmed that Mario Mandzukic and Benedikt Howedes have picked up further injuries and while the Croat is already back in the team, the German defender is out until 2018. It’s a real shame as he showed to encouraging signs when he led the 3-man back-line, albeit against lowly Crotone. 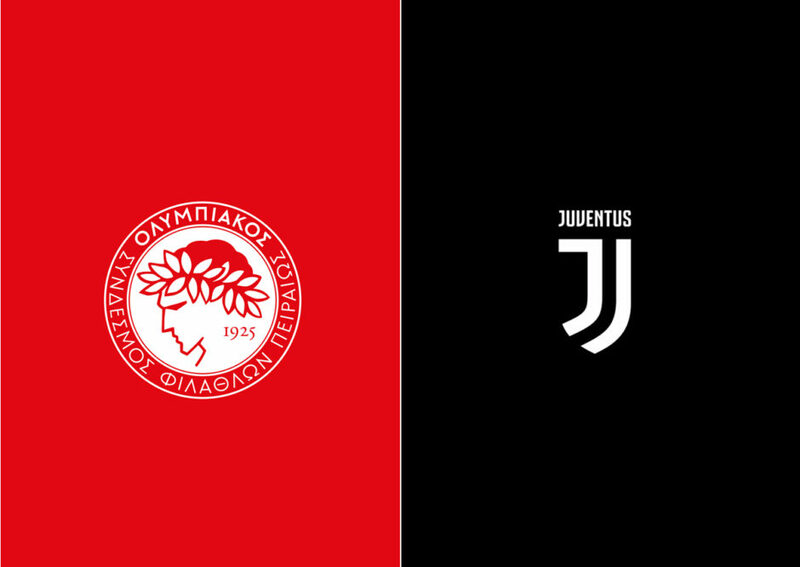 We should have a team capable of getting a result in Greece, especially when there’s so much on the line. While the game between Sporting and Barcelona could well have an impact on the standings, we need nothing less that a win to guarantee a place in the last 16 so that will certainly be the focus for the team. 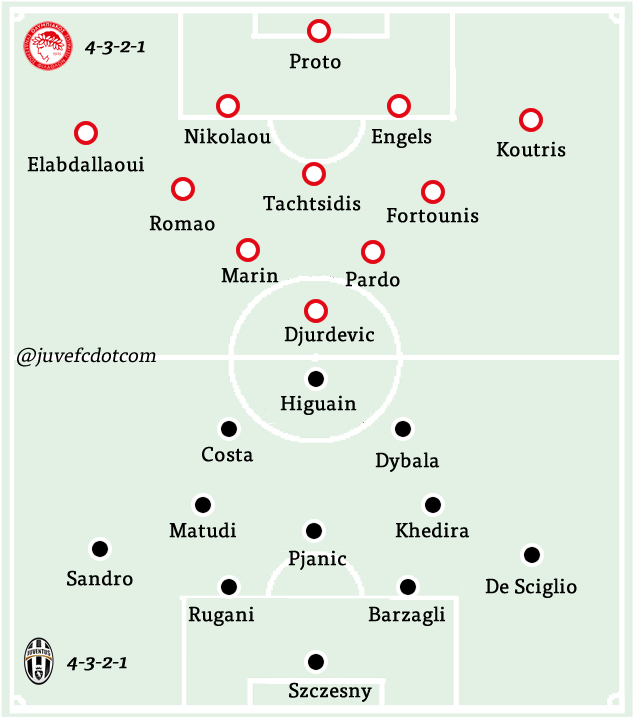 It’s reported in the Italian press that Allegri is likely to stick with the 4-3-2-1 formation and the starting XI really writes itself at present, the only possible rotation may be the addition of Claudio Marchisio in midfield. 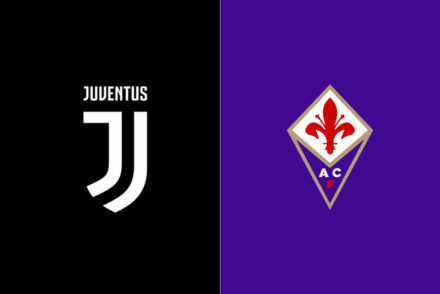 We host undefeated Inter at the weekend so the Mister will likely have one eye on that fixture and aim to get the 3 points secured so he can switch things around as soon as possible. Giorgio Chiellni will miss the trip to Piraeus due to a stomach virus, while Mandzukic returns to the fold having recovered from his calf strain. Gigi Buffon is a doubt having picked up a calf strain while Miralem Pjanic has a muscle strain and the pair will be assessed tomorrow; Allegri hasn’t ruled either of them out so there’s a chance they both may feature from the start. 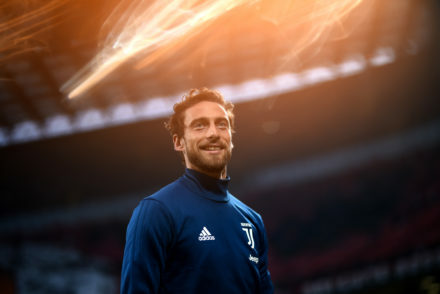 Wojciech Szczęsny could start in goal with Mattia De Sciglio, Andrea Barzagli, Daniele Rugani and Alex Sandro at the back. Miralem Pjanic may start in midfield, partnered by Blaise Matuidi and one of Sami Khedira or Marchisio. Douglas Costa is in fine form of late so he’s almost certain play alongside Paulo Dybala, the pair of them sitting just behind Higuain. 4-3-2-1: Szczesny; De Sciglio, Barzagli, Rugani, Alex Sandro; Khedira, Pjanic, Matuidi; Costa, Dybala, Higuain. Alex Sandro keen to leave Juventus?